Save on your Summer Outings with Coupons! 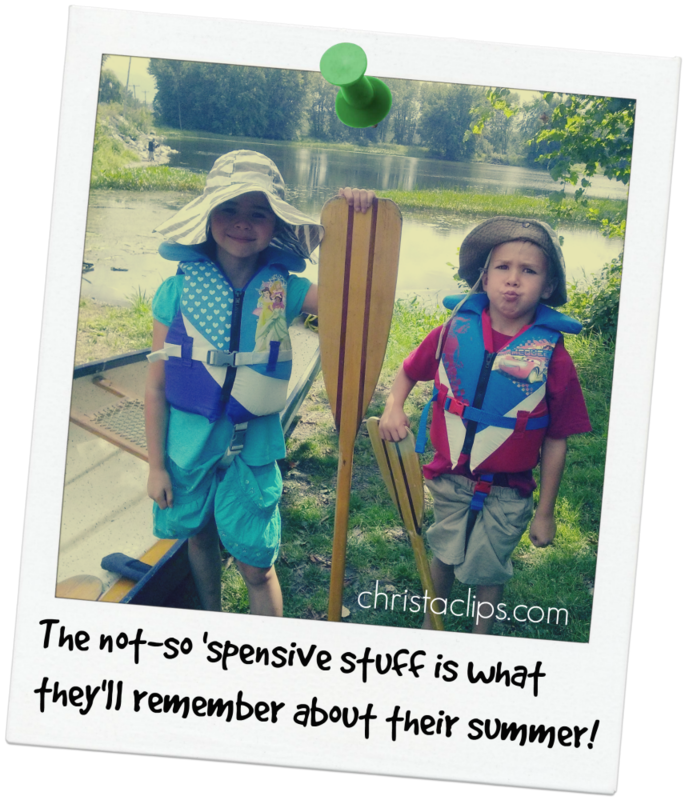 Looking back at the best summers of my life, it’s the not-so-‘spensive stuff like sprinklers, kites, campfires, and sandcastles that stand out in my mind. And while many of us are trying to cling to the notion of frugal fun by keeping our summer plans simple and affordable, there are some pretty fantastic attractions that we’d hate to miss out on. Here is a (continually growing) list of coupons and discounts for admission to Canadian tourist attractions and family activities. Check back often to see which coupons and savings tips have been added, and please drop a line in the comments below with other suggestions to add to the list! Why pay full price for your summer outings when there are discounts to be had?! Don’t forget to be a tourist in your own community and check online before heading out to a museum, festival, park, or restaurant – there are often coupons to print or flash on your mobile device! Passeport Vacances Coupons – printable coupons for major attractions throughout the Province of Quebec including LaRonde coupons, Parc Omega coupons, Parc Safari coupons, IMAX coupons, coupons for white water rafting, etc. All Daily Deals – a site which lists ALL of the major daily deal and group buys in one place! The Entertainment Coupon Savings Book has several Canadian editions for major cities with 100s of perforated coupons and discounts on the mobile app for tourist attractions, museums, restaurants, and services. The new editions are released in August of each year and Entertainment Book coupons expire in November – get one per city that you’re visiting and leave it with your host or hotel staff when you leave if you’re not coming back! Check your CCA or other automotive club membership package to see which discounts you are entitled to as a member. Many museums and festivals have FREE admission during certain times. Take a few minutes to check the official website and/or facebook page of your destination before heading out to find out when the FREE admission times are. Swap out your old gear and update your backyard with new-to-you toys and summer accessories – you’ll be surprised at what your neighbours have to sell on your city’s UsedEverywhere site. Think “sprinklers”!! So whether you’re keeping your summer plans simple or you’re preparing for the staycation of a lifetime, be savvy about your summer plans and set aside a few minutes to plan ahead and save some money along the way with coupons and discounts on Canadian summer attractions. Wishing y’all a safe & happy summer! Cool!!!! We’ve just been Prize-bombed by @UsedEverywhere! 3 lucky participants of tonight’s chat will receive a FREE Top Ad Upgrades to the UsedEverywhere.com site of their choice. Thanks @UsedEverywhere! There’s so much summer fun to be had with new & used items for sale and cool event listings on your site! Being organized and planning ahead is a well known foundation to being a savvy spender. Whether your summer plans are lavish or simple, it’s well worth a little effort to plan ahead to make the most of our summer vacation. 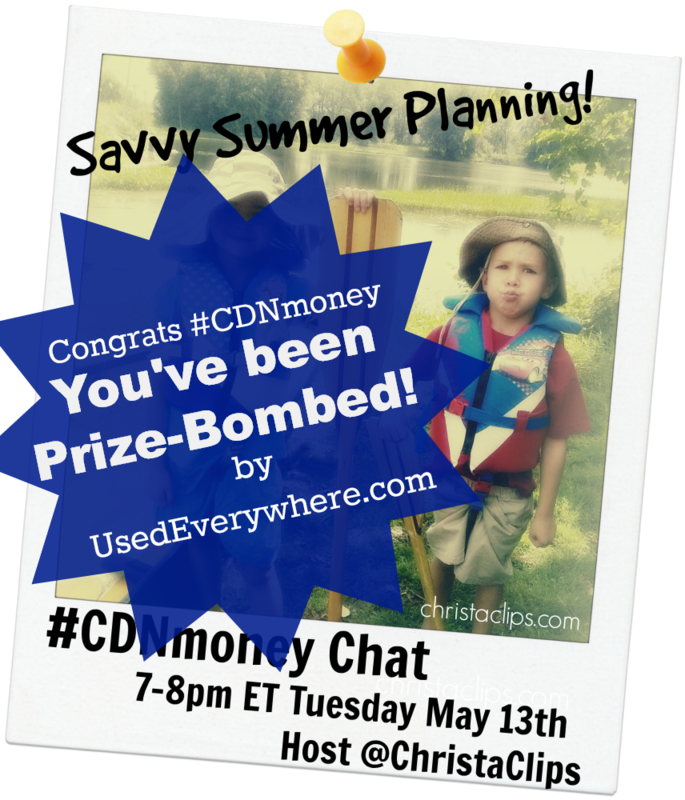 For this week’s #CDNmoney twitter chat, we will be chatting about Savvy Summer Planning! 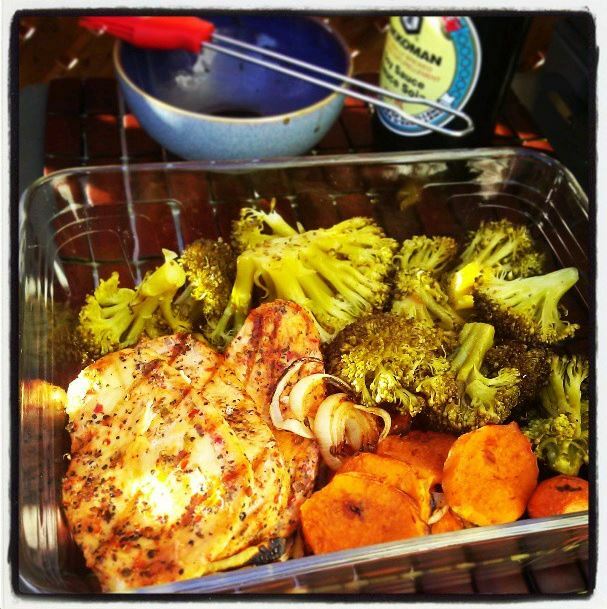 Join us for an hour of ideas about how to plan ahead for a fantastic summer that won’t break the bank! #CDNmoney chat participants are well known for sharing practical tips & tricks that you can use right away to help save money – please do join us! Co-host @CommonCentsMom Hollie Pollard will be joining us again next week. 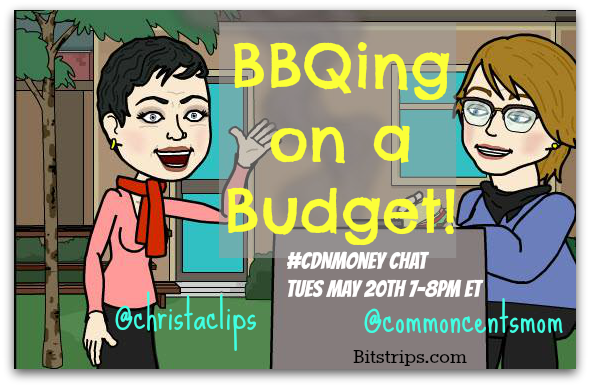 #CDNmoney is a weekly Twitter Chat hosted by @CommonCentsMom Hollie Pollard and Save-at-Home-Mom @ChristaClips. Join us for an hour of money minded tips & tricks to help you embrace a more frugal lifestyle! Hollie and I both recommend signing into the #CDNmoney Tweet Chat room to participate and follow along during the Twitter Chat – it’s any easy way to keep up with the pace!